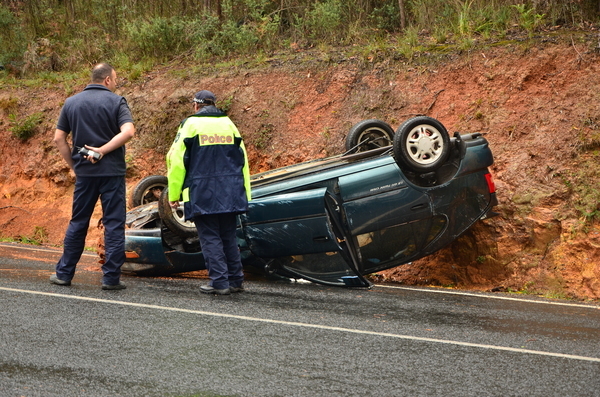 THE infamous Black Spur claimed another car when a driver lost control and flipped the car onto its roof, about 10.30 Tuesday morning 10 May. The 31-year-old female driver was uninjured but her 65-year-old female passenger was taken to Maroondah hospital as a precaution. 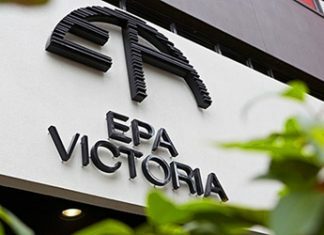 The American tourists were travelling on the spur towards Healesville when the driver lost control of the Toyota Corolla in the wet and slippery conditions near the Maroondah dam, police said. 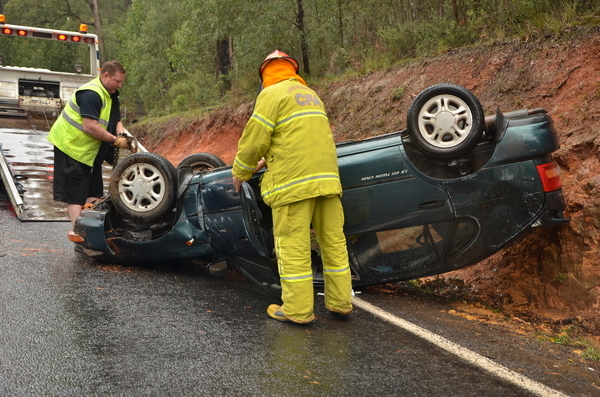 Sergeant Stewart Thomson of Healesville police said it was lucky neither the driver nor passenger were seriously injured. “They hit the dirt barrier and the car has flipped into its roof. Sgt Thomson said it was important for everyone to drive to the conditions and especially for people unfamiliar with the road. “We have had multiple road accidents on this corner in particular,” he said. 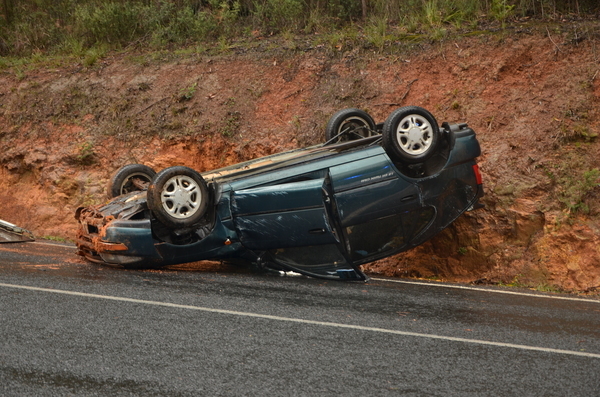 Healesville police are reminding all drivers with the onset of the wetter months to adapt to the road conditions, slow down and arrive safely.